What I’ve found in my years of doing lead generation is that there are some relatively simple techniques that you can employ that deliver very significant results. I thought it would be helpful to share these with you. I’ll be doing this throughout the year a few at a time. Here are the first five for you. I usually subscribe to the more is more theory, but when it comes to creating a CTA that works, you only need one. Really. Having more than one CTA causes confusion, and confusion does not produce leads. So, have one and make it good. Blogging works, but it takes some time. I recommend you create a six-month content calendar, execute it, and then analyze your results. You should see a sizable increase in your organic traffic. You will not see instant results, so commit to give it time. Your blog is a great place to have a compelling CTA, but this opportunity is often overlooked. And, what I like most about blogging is that it enables you to develop highly targeted CTAs because the CTA will be relevant to the blog content the reader is interested in. Then, you can ask readers of your blog to provide their name and e-mail address in exchange for downloading your targeted content. The days of cold calling are over. If you’re doing your lead gen right, you should be able to create a targeted list of interested prospects whom you can reach out to with a welcomed warm call. And, the beauty of this is that warm calls work much better than cold calls for generating sales. Most of us don’t take advantage of the prime real estate afforded us in the signature area of our e-mails. That’s a shame because it’s a great place to garner attention from your prospects by linking to a special offer, landing page, or a specific page on your website. Have you used any of these techniques with success? Care to share your story with us? Relatable – Prospects want to feel like you’re speaking directly to them and their specific needs/wants. This means you need to focus on what you’re saying and how you’re saying it. Engaging – You want your content to grab your prospects’ attention and make them want to engage more. Keep your prospects engaged and you’ll earn their trust and their business. Emotional – Compelling content doesn’t just inform. It makes prospects feel something and makes them want to learn more or take action. You only have one chance to make a good headline. Your headline will determine whether or not your prospects open your e-mail. So, choose your 5-15 words very carefully. The best headlines leave something to be answered. Give them just enough information to tease their curiosity. And, make sure the content ties back to the headline. Each contact is a mini production. Every time you reach out to your prospects, you need to make the experience as interactive as possible so your prospects feel they have an active role. To facilitate this make sure your copy is short – just bite-sized pieces of information. Keep the design interesting an in line with your brand. Use images to make the communication more interesting – photos, graphs, charts, videos, webinars, quizzes, games, etc. In addition to the facts, your prospects want to know how your product or service is relevant to them. So, make sure you use engaging pronouns like “you,” “your,” “our,” “I,” etc., and let prospects know how the content directly relates to them and how they will benefit. Make sure you reference all of your sources. This lends instant credibility and makes your readers more apt to read what you’re saying. Keep it new and exciting. Just like your favorite novel, your content needs to have a climax and a reveal. Show your prospects something new or a unique insight into an important concept. Compelling content is useless without incorporating an action to be taken by your prospects. You want to inspire action and make it easy for prospects to do it. Make it very clear in your copy what it is you want prospects to learn and do. Don’t leave this important task up to the prospect to try to figure out. By incorporating these seven tips, the quality of your content will increase along with your prospects’ engagement and your ranking on Google search engines. What tips do you have for creating compelling content? Share them with us. Content marketing is a very effective approach that focuses on the ongoing creation and disbursement of relevant and valuable content to build a relationship with prospects and ultimately influence their buying behavior. Whereas traditional marketing is outbound focused, content marketing’s focus is inbound with an emphasis on owning media as opposed to renting it like with traditional advertising. As the name alludes, the focus is on content, with the goal of delivering valuable information to prospects. Prospects can then use this information to answer their questions and guide their buying decisions. Content marketing has proven its efficacy, continuing to build momentum as traditional outbound marketing performance continues to wane. That’s because content marketing has a higher ROI and lower cost-per-lead than traditional advertising while creating a more meaningful prospect buying journey. That’s not to say, however, that traditional advertising doesn’t have its place. But, it’s growing increasingly smaller and is almost always wrapped in a content marketing bundle. Choose the best platform for your content: blog, landing page, webinar, free booklet, etc. Study after study show that your prospects want and need content. The buyer of today makes their purchasing decision before they contact you. This is where the creation and execution of targeted content marketing is so beneficial. What’s your content marketing advice? Share what you’ve learned. The marketing e-mail presents many opportunities for success…and perhaps just as many for real misses. I’m talking about little mistakes that can lead to big-time missed opportunities with fewer opens and click-throughs. Here are some of the more common mistakes you want to avoid. 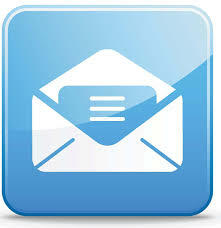 E-mail marketing is a great way to build a relationship with your prospects. So, don’t send your e-mails out under a veil of secrecy. Have a real person’s name and e-mail address as the sender as well as the reply to contact. Don’t use “info” or “admin” or even worse yet “noreply,” which is the equivalent of saying we really don’t want to talk to you. This one makes me cringe. You always have to test your personalization to make sure it’s working properly. There is nothing less personal than receiving an e-mail that says “Dear |Full Name|. The beauty of e-mail is that it allows you to layer your approach. It’s a courtship, so go slow and always (always!) present something of value. Even if your prospects don’t buy right away, your e-mails should be presenting them something of value and interest and not just a shameless plug of your product or service. This is how you win trust, build relationships, and close deals. I know it’s tempting. But, choose your words very carefully when it comes to your subject line. This little space goes a long way toward building trust with your prospects. There’s a fine line between an over-the-top over promise and an engaging subject line that speaks to a benefit important to your prospects. Find the balance. Regardless, the content of your e-mail has to deliver on the subject line promise or you’re dead in the water. This one is easy. One call-to-action, one image, and keep the copy short. Please don’t bombard your prospects with too many links, icons, copy, images, etc. One call-to-action and brief copy with a strong image won’t dilute your message and is highly effective. Make sure you are consistent with when you e-mail your prospects. Generally, once a week is sufficient. Prospects don’t want to receive several e-mails a day or week offering just as many different offers. You need to have an Unsubscribe button on each of your e-mails. Don’t require prospects to have to log in to manage their subscription preferences. This isn’t very nice, and your prospects will likely retaliate by marking your e-mail as spam, which is something you don’t want. When you e-mail prospects who are unresponsive, it will cause some e-mail providers to start pushing your e-mails in the spam box as they are assuming you are sending junk e-mails because of the low open rates. To prevent this, don’t keep sending to non-responders. What e-mail lessons have you learned the hard way? Care to share?